From the age of 4 I was lucky enough to enjoy yearly family ski holidays, and according to my parents, it was never a hassle to get me into my ski gear and onto the slopes. It didn’t take me long to realise that the mountains were the place for me and after doing my A-levels in 2012, I flew straight to Switzerland and trained with New Gen to become a qualified ski instructor. 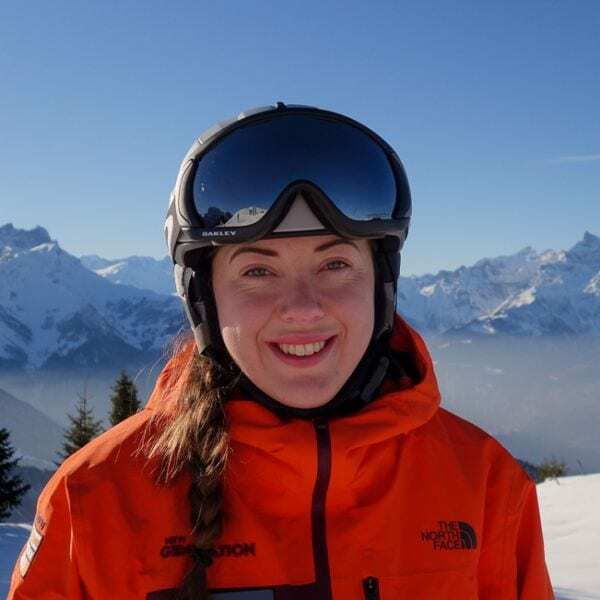 Skiing isn’t my only passion, I also have a degree in psychology and take every opportunity I can to use what I have learnt to help people, on and off the slopes. As a ski instructor my main philosophy is to help people reach their full potential and be the best skier they can be, all whilst having fun and enjoying themselves in the process. Skiing is often just mind over matter. Approach the slopes with a positive mindset and attitude and you’ll already behalfwayy down the mountain. Fancy a private lesson with Georgie on your next holiday?